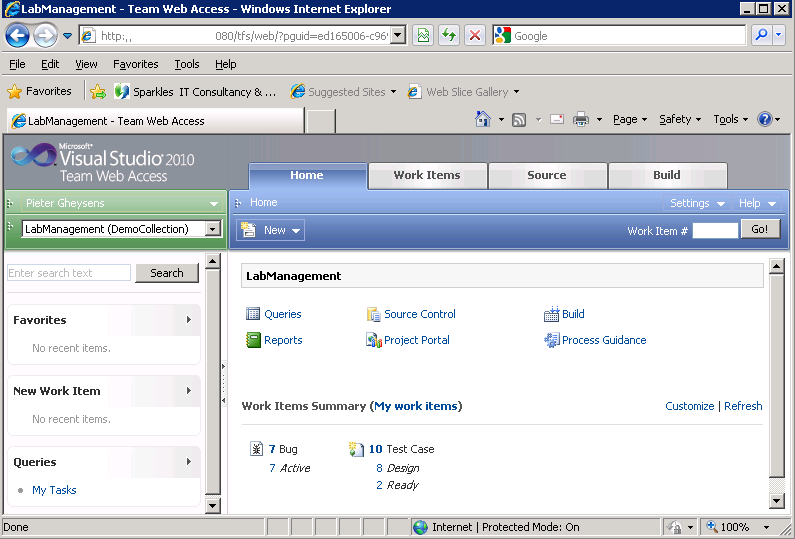 Team Web Access (TWA) is a customizable Web interface that can access Team Foundation Server project data. It acts as a client of Team Foundation Server and provides most of the functionality available through Visual Studio Team Explorer. Users that connect to TFS via TWA should also have a valid Client Access License (CAL). But … without having a CAL you may also create and view/modify work items that are created by you in Visual Studio Team Foundation Server. To perform these tasks, you need only Team Web Access in Work Item Only View (WIOV) and the required permissions. 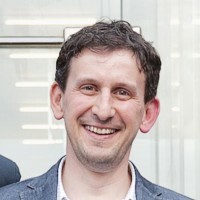 A user does not need a CAL or External Connector License to create new work items or to update work items that that same user has created. This exception applies only to work items related to defect filing or enhancement requests. However, a CAL is required when a user views or modifies a work item created by another user or interacts with Team Foundation Server in any other way. 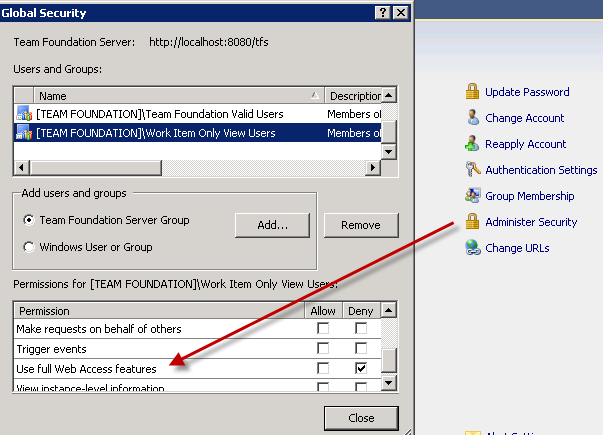 Great, but how to make this work inside Team Foundation Server 2010? Open up Team Foundation Administration Console and click on the Group Membership link that belongs to the Application Tier tab. There you will find a TFS Security Group Work Item Only View Users. User accounts of users should be added to this group when these users should only have access to the Work Item Only View feature. The actual downgrade of the permissions for these users is set through the Security Administration. This TFS Security group is denied access to the full Web Access features. Being part of this group will show you a limited version of Team Web Access where you will only be able to view and manage your own work items. 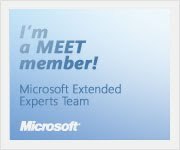 You are currently browsing the Into ALM with TFS/VSTS blog archives for June, 2011.